Betta fish or ‘Siamese fighting fish’ are a very unique species that require special care and diet. They are one of the most popular aquarium fish due to their stunning bright colors and easy care. If you have just purchased a betta fish, you should know that in the wild, their diets are very different from other species like gold fish or guppies. Choosing the best Betta fish food is one of the first questions new owners ask. While many species of fish follow a more plant based diet, bettas need more protein rich foods. Believe it or not, betta fish inhabit small puddles, ponds and water baths through Asia. They are truly unique in their habitat and adaptability. With that said, I’m sure you’re probably asking yourself “What am I going to feed my Betta?”. Don’t panic! Let’s take a few moments to discuss Betta foods that will give your new betta exactly what it needs to give it a long, happy life. What do I Feed my Betta Fish? What Types of Betta Fish Food are Available on the Market? 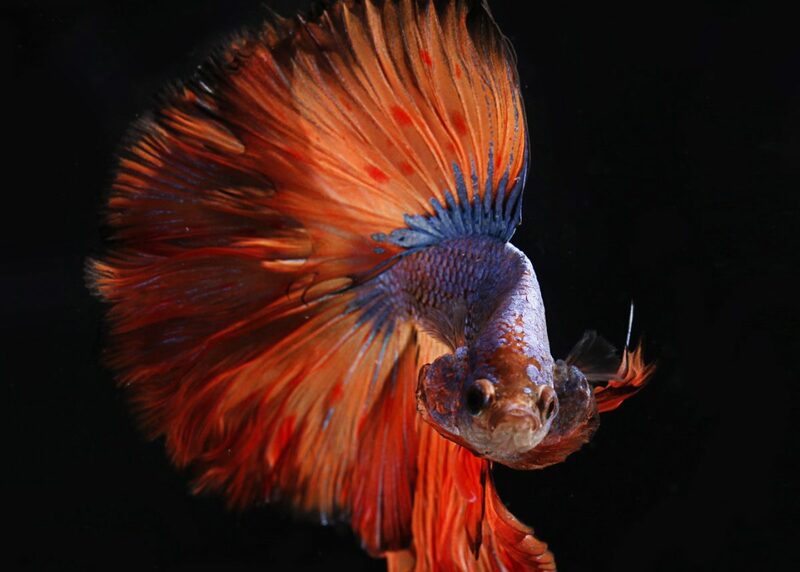 How Often and How Much Should Betta Fish be Fed? Bettas are carnivorous and in the wild they’re known to eat brine shrimp, mosquito larvae, worms, and even other smaller fish. Because of their unique diet, there are a number of products available specifically made for Bettas. The typical fish food sold at most pet stores is usually plant based. If you’re wondering whether bettas can eat this kind of food, the answer is both yes and no. They can eat plant based fish flakes for a temporary period of time, but keep in mind that it shouldn’t be a long term thing since it could cause swim bladder disease and bloating. 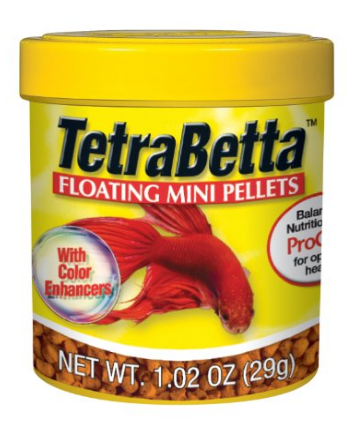 Sinking pellets are also available, but keep in mind that in the wild, bettas eat off the surface of the water. 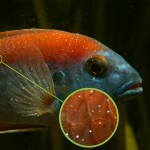 Sinking pellets might be an optiononly if you notice a different eating behavior in your fish. Betta flakes are another option, but we don’t recommend this choice simply because it’s difficult to measure exact serving sizes. There’s also the issue of cleanliness because whatever your fish does not eat, will sink to the bottom of the tank and collect over time. Blood worms come in small cubes and they are frozen or freeze dried. When feeding your fish, take a small chunk from a cube, place it in a cup, and mix it with some tank water to help it thaw. Once the chunks are thawed, feed your betta 1-2 worms. Make sure to store any unused worms in your freezer and if you notice a change of color or a sudden fowl smell, throw them out immediately. Freeze died shrimp, krill, and daphnia are more of a treat and not a main staple food. You can feed your betta one of these on occasion as a meal replacement but again, it should only be done sparingly. And finally, you can give your betta a pea once a week or when you notice that they are bloated. Peas give your fish fiber and help them stay regular, if you think your betta is constipated you can give it one pea after a day of fasting. 1-2 times a day is a good standard. An important fact to know is that betta’s stomachs are roughly the size of their eye ball and it’s not a good idea to overfeed them.. If you’re feeding your betta once a day, make sure to give it 4 pellets. If you’re using blood worms as food, you can give it 3-4 worms. For those of us who feed our fish twice a day, which is generally recommended, 2-3 pellets and 1-2 worms is usually enough. But use your best judgement based on the size and health of your Betta. Now that we’ve covered Betta feeding basics, let’s take look at some of the top betta fish food available on the market. 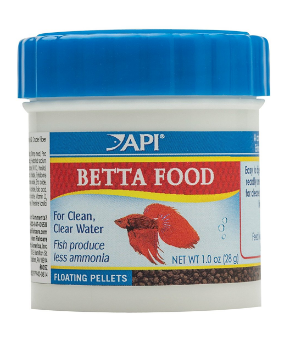 This brand of betta food is one of the top rated brands on Amazon. These pellets are made from high protein, premium fish food to meet the nutritional needs of your fish. A long with protein rich ingredients, these pellets also have grape seed extract to reduce the signs of aging, spirulina, and astaxanthin which helps enhance your betta’s color. The formulation of the Hikari pellets has been produced to mimic the contents of a wild Betta diet. Hikari is a reputable brand that manufactures high quality, well researched products and this is likely no exception. High protein and essential vitamins will ensure the longevity of your Betta fish. Follow the instructions on the packet to feed the appropriate amount at the recommended feeding intervals. 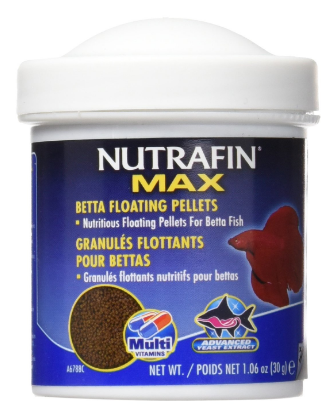 These pellets are enriched with vitamins and other essential nutrients. The 2-pack can last you up to a month. It will help enhance your betta’s color. The packaging exposes the food to air so it might not stay fresh very long. It is often recommended to store food in your own airtight containers. These are relatively inexpensive and can usually be purchased at supermarkets. These pellets are the perfect staple food for bettas. They come with a select amount of vitamins and nutrients to help enhance your betta’s immune system. It also comes with the patented ProCare for optimal health, omega-3 fatty acids, and a high protein content to encourage growth and energy production. Tetra is a well-regarded budget conscious fish brand. 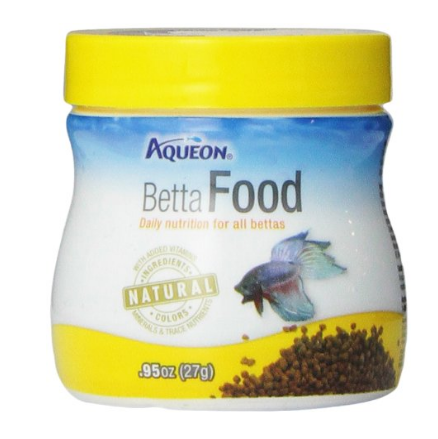 For just over $2 you are getting a specially formulated Betta food. 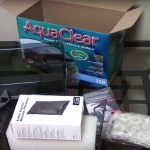 Tetra has ensured the food is high protein and appropriate for your Betta fish. This is a great deal and the primary ingredients constitute an effective meal for your Betta. On the other hand, Hikari and Nutrafin sell a more premium product, you will have to decide what is best for you and what your budget is. Will not cloud water if used exactly as listed on the instructions. It has natural color enhancers to bring out the colors of your fish. The pellets are too big and might need to be broken down. When pellets are broken down they are more likely to contribute to nitrates, algae and water cloudiness. It is always best to buy pellets that are small enough for your fish to consume whole. The Nutrafin Granules are rich in essential nutrients, they come with advanced digestive support and no artificial colors. Some of the major ingredients include fish meal, fish protein concentrate, krill, brine shrimp meal, earthworm meal, and blood worm meal. Along with its animal protein content, this food also comes with essential nutrients like calcium, vitamin A, vitamin C, and vitamin E.
Nutrafin make excellent products and sell a large variety of fish food. Their Betta granules aren’t just rebranded fish food but a researched. quality product for your fish. This food contains a large number of natural ingredients that are likely to be found in a wild Bettas diet. For this reason, Nutrafin has my vote for the number one Betta food in this list. They have taken careful account of the protein content and steered away from non-natural and colour enhancing additives. On the downside this premium product carries the price tag you would expect and is also the most expensive on this list. Very high protein content deriving from several animal sources. This is excellent for your Betta and similar to the diet of a wild caught species. Comes with advanced yeast extract for digestive support. In colder weather it is common for Betta to have difficulty digesting food, the advanced digestive support is definitely a positive for the prolonged health of your Betta! The pellets are small so there’s no need to break them up before feeding your fish. 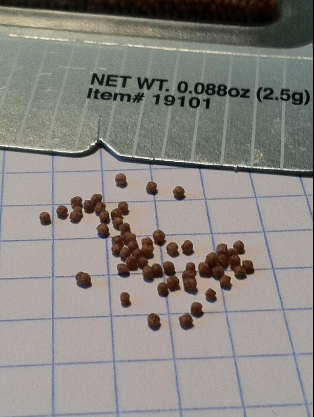 Small pellets are a great addition and will make feeding easier and reduce spikes in nitrates, ammonia and algae. The product quickly runs out on online stores like amazon. It may not be available when you want to purchase your food. The Aqueon Betta are made out of all natural ingredients. The majority of its protein content comes from shrimp and it also has other vitamins and minerals to support proper growth and a healthy immune system. For this price it is a good product. 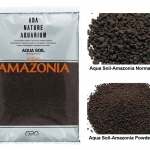 Aqueon is a lesser known aquarium brand and competes for a smaller share of the fish food space. However, this food uses natural ingredients and has a high protein content. Both of which are excellent for the health of your Betta. It may not have as diverse ingredients as the Nutrafin or Hikari brands but the price tag is considerably lower. No preservatives or artificial colors. Pellets have reportedly needed to be soaked in water for a minute or two before giving them to your fish. 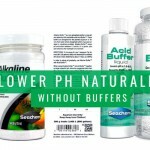 Unlikely to color enhance your fish but this is the expected trade-off for all natural ingredients without preservatives. These pellets are rich in protein and scientifically formulated to to promote healthy development and growth. 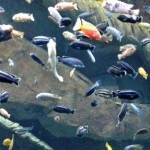 The food produces up to 35% less ammonia in the aquarium too. Due to the high nutritional content, it’s recommended that your Bettas only get fed twice a day. Does not cloud your water. The pellets float on the surface for 3-4 minutes. Some fish might not eat these pellets right away. It can take some training depending on what your Betta was fed in the fish store. It has more plant based ingredients and fiber from peas, seaweed, and wheat flour. Higher Protein diets are preferable for Bettas. Hopefully this informative guide has provided you with enough information to choose the perfect food for your betta fish. Although it takes some research and a bit of experimenting to find the perfect food for your betta, be open to experimenting and trying out different products during the first few months. Your fish may color better or enjoy specific products over others. Each Betta fish is unique! If you have any other good brands to add to the list, let us know in the comments’ section below! I am breeding show bettas, I need a huge bucket of one of your top three choices for food. Is this possible and where can I purchase this tub that is hopefully cheaper? Thank you for the excellent article. I never thought there is that much of difference between companies that produce food for Betta. What is your thought about the Marina brand? It ‘s called Marina Betta Pellet Shaker. I have been using this for my betta and he seems very liking it. Do you think it’s a good choice?